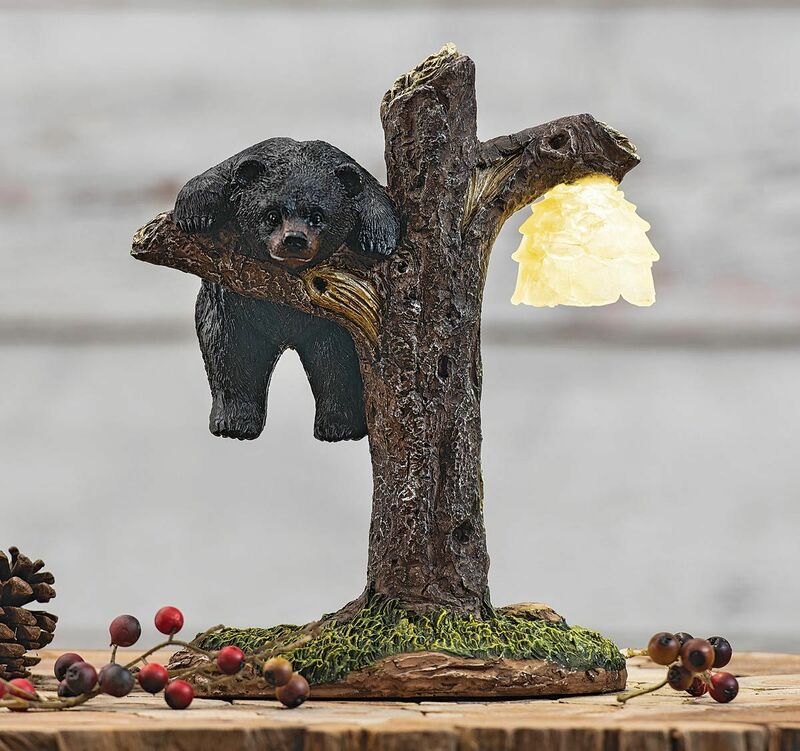 A Black Forest Décor Exclusive - This polyresin accent light features a bear determined to eat honey. LED bulb attached. Requires three AA batteries (not included). 7 3/4"W x 4 3/5"D x 9 1/2"H.